The Zionist movement relies on ignorance and guilt by association to get its message across. A recent example are the falsehoods published as Opinion in the Dominion Post by the President of the Zionist Federation Rob Berg. Berg states that Israel is an ally of New Zealand, so we shouldn’t be criticising Israel in the United Nations. Israel is not an ally of New Zealand, no matter how much Berg might want it to be. Indeed, the only agreement close to an alliance, is a 2015 movie and television co-production agreement, cooked up with Maggie Barry for political reasons. So far the agreement has produced absolutely nothing. That agreement is for shooting movies together, not people, as Berg would have us believe. New Zealand has negligible trade with Israel, despite attempts by the Israeli embassy to drum it up by sponsoring trade delegations to Israel. Another political stunt. New Zealand’s relationship with Israel, whichever party has been in power in New Zealand, has always been, at least nominally, quite different from what Berg is pretending. New Zealand voted for the partition of Palestine in 1947, and for Israel’s admission to the UN, so long as Israel gave the Palestinians it expelled in 1948 the right of return. Israel never has. New Zealand troops have patrolled the Israel and Egypt ceasefire line since 1981. Not to support Israel as some, like the Governor General, think, but to police each side. We broke off diplomatic relations with Israel in 2004 when Israel’s spies were fraudulently acquiring New Zealand passports. In 2016, New Zealand Foreign Minister, Murray McCully voted with 13 other countries on the United Nations Security Council to remind Israel that its military forces are occupying the West Bank and East Jerusalem, and that its settlements there are illegal. 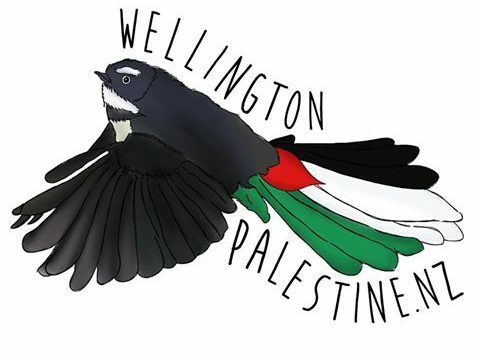 Far from an anti-Israel diplomatic slide as Berg makes out, and as McCully would have been well aware, this has been the position of New Zealand, and most of the world, ever since Israel conquered all that remained of Palestine in 1967. On the contrary, the subsequent apology for the vote by Bill English, and the statements by Gerry Brownlee, echoing Australia’s Julie Bishop, doubting that there is an occupation at all, indicate a slide in the other direction. Outside some political individuals like this in the West, it is Israel which is quite rightly isolated in the world – not New Zealand. Berg mentions countries which he thinks New Zealanders don’t like as voting with New Zealand in criticism of Israel. That just indicates how wide the opprobrium for Israel extends. Then there is Berg’s declaration of the free-fire right of Israel in Gaza. The process is simple. According to Berg, anyone associated with Hamas can be killed. No matter what these Palestinians are doing, just calling them a ‘member’, ‘operative’ or Hamas ‘militia’ is a death sentence. Instead Rob Berg expresses his concern about the fate of Israeli ‘insects and bees’. These sentiments led the Israeli parliament to recently declare that Israel’s national sovereignty was a privilege available only to its Jewish inhabitants. It even offended its cravenly loyal Druze warrior caste. The Israeli government then said it was sorry and is going to somehow fix this slight to the Druze. But tellingly, it will not countenance any such relaxation of its multiplying apartheid rules conferring inferior status on the Muslim and Christian communities in Israel. Most astonishing, is Berg’s professed reverence for the UN Partition Plan for Palestine in 1947. That plan envisaged a state for the overwhelmingly Palestinian majority, albeit in less than half of Mandate Palestine. Israel ignored the plan and immediately took three quarters of Palestine. In 1967 Israel invaded the last quarter of Palestine. New Zealand’s diplomatic position, much reviled by Berg as anti-Israel, is in reality that Israel can ignore the terms of Partition and keep what land it wants, except perhaps, in its own good time, the last segment it captured in 1967. It is the disinclination of the countries of the world to stand up for even this weak position, that has given Israel a free hand to continue the dispossession of the Palestinian people. International apathy and the extension of Israel’s occupation, means there is now no viable expression of Palestinian rights based on either the 1948 or 1967 boundaries. Today, the only viable way for justice to be achieved for the Palestinian people is to end Israel’s apartheid regime in all of the territories it now controls.